Categories: Organic, Valpolicella, World of Wine Festival range. 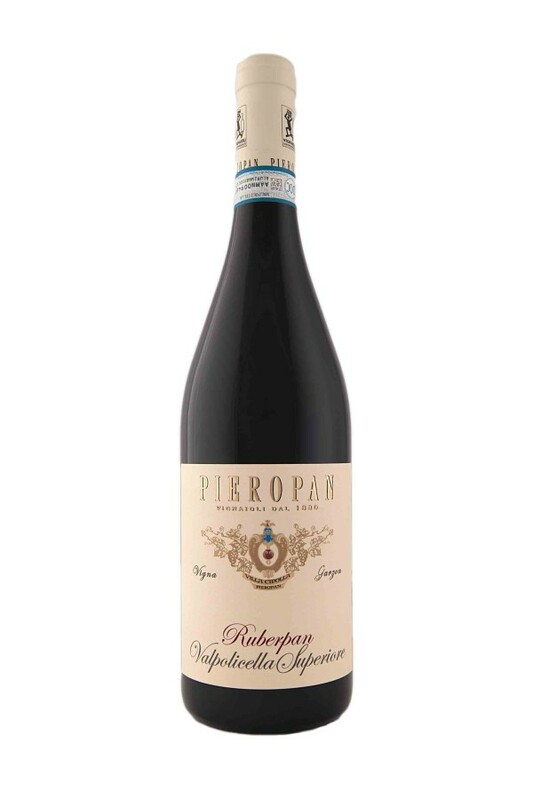 Unable to acquire any more land in Soave Classico, Pieropan bought land in the adjoining appellation of Valpolicella to create a red wine with style, just as they have with their whites. Superior quality Valpolicella with integrity. Sophisticated, lush & wonderfully textured. Deep dark fruits emerging from a veil of sandalwood, smoke and game. Bottled un-fined and un-filtered the wine retains a touch of rusticity with a serious tannin beckoning you back for more. There’s a saline nuance that rocks with lamb, feta and olive. True Soave is a revelation not to be missed. Pieopan are considered one of the best producers in Italy of this stunning wine. "This is how soave should taste but seldom does. Plenty of ripe pear-like fruit plus a dash of toasted nut flavours. Crisp and fresh, with a hint of honey in the finish, this is a delightful aperitif wine, as well as a fine choice for pairing with light seafood or vegetarian dishes.."
Deep dark ruby red colour introduces an intense and aromatic nose and concentrated rich, ripe red fruit flavours. Hearty tannins and fresh acidity are softened by barrique and bottle maturation. At five years from vintage, “Spelt” is still very much a supple, youthful, exciting and drinkable wine that will also offer “interest” on maturing for 5 to 10 years. From selected vineyards high above the valley floor hot days and cold nights bring the Pinot Bianco variety to life, with a refined bouquet of fresh citrus, robust yet elegant, dry finish. 100% Prosecco : “Superiore DOCG” sparkling wine from Prosecco di Conegliano Valdobbiadene. 89/100: The Wine Advocate (Robert Parker) “Chalky, mineral notes emerge from Franco’s NV Prosecco di Valdobbiadene ‘Rustico’. This focused, taut Prosecco reveals notable character in its vibrant, energetic fruit with wonderful purity and balance. Rustico is a very serious wine for the money”. Breidecker is an off-dry wine with nectarine, citrus and tropical fruit flavours, Aromatic and elegant with a soft silky palate feel. Ideal for savouring during a summer day or evening. Minimum order is 6 bottles. For delivery information, click here. © 2018 Poshslosh Limited, Auckland, New Zealand. You must be at least 18 years old to enter our online wine store. By entering you confirm that any prospective receiver of your order is also aged 18 or over.